Learning and fun were combined on December 7, 2017, as 2nd and 3rd year Business English major students spent the day in Ayudhaya. The students were accompanied by the Dean of Faculty of Humanities and Social Science himself, Asst. Prof. Dr. Yongyut Khamkhong, as well as two more faculty, Aj. Nieves Tayco and Aj. Vladimir Pujic. The day trip aimed to promote and enhance business awareness through off-campus exposure, explore possible future career paths, and build cooperation and close relationships with fellow students. 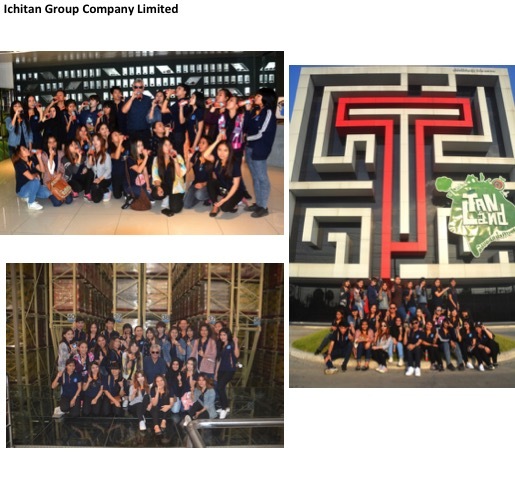 The group went to Ichitan Group Company Limited, a famous company for tea and other beverages. The group was fortunate to see how and where the products are processed and manufactured. The students were astounded by the processing procedures and were impressed by the technology used by the company. They were inspired by imagining being part of a multi-million-company someday. 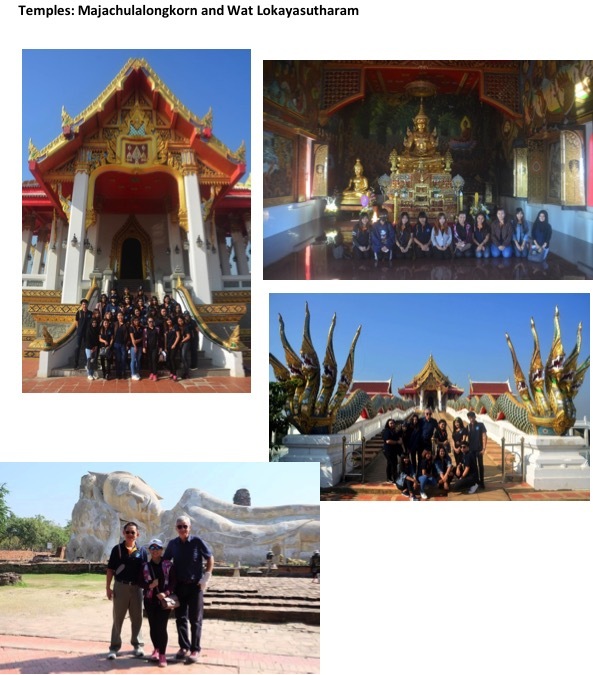 In addition, the group visited two temples: Majachulalongkorn, a temple with an interesting story and amazing wall paintings, and Wat Lokayasutharam, a huge temple with reclining Buddha and one of the most visited spots in Ayudhaya. The students were happy to have some free time with friends, enjoying non-stop picture taking. 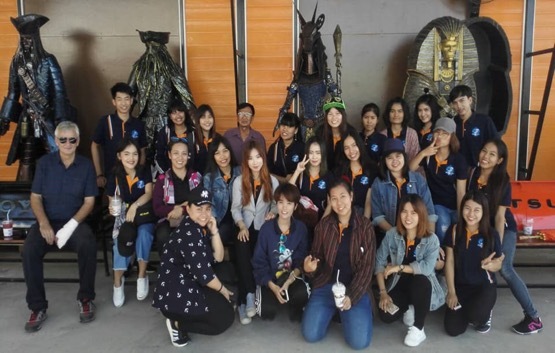 Finally, the students went to “Ban Hun Lek” (House of Steel Robots) where breathtaking decorative robots are manufactured and displayed. They were able to appreciate how the magic of artistic imagination can conquer the world of business. 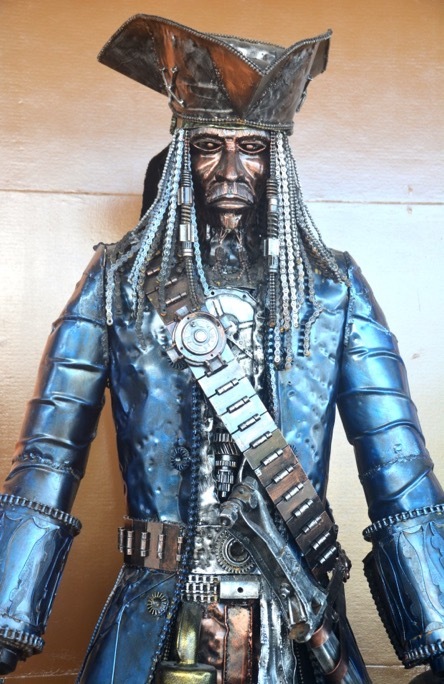 They witnessed how scrap metal and other discarded junk are used to create amazing decorative robots. The students were shocked to learn that one big robot cost 500,000 baht and was manufactured in only three weeks! Eighty-percent of the robots are exported all over the world. The students were inspired by the owner who served as an example that with passion and hard work, one’s dreams really can come true!